Suggestions for travel routes in Northern Thailand? Traveling to Northern Thailand is ideal if..
...your plans are to cross the border over to Northern Laos - to for example Luang Prabang or the popular backpacker place Muang Sing close to Luang Namtha in Laos. If you're heading to Luang Prabang, all you need to do is to take the slow boat from border town Huay Xai! Depending on what you want to see, how much time you have and your visa expiration date - you can add or remove towns/cities as you like. So, I've calculated a time frame for you. Here are the itineraries if you're starting in Bangkok. From Chiang Mai, you have some time to do the Mae Hong Son loop (Chiang Mai- Pai - Soppong - Mae Hong Son - Mae Sariang) to go trekking, caving and visit villages. The loop can be done in minimum 3-4 days, but 6-7 days is recommendable so you have some time to soak the experiences. From Chiang Rai there are frequent buses to the Lao border at Chiang Khong. Frequent buses and trains leave Bangkok for Chiang Mai. From Chiang Mai, hop on a bus or a minivan to Pai (pretty swingy road up to Pai). Hire a bike in Pai and on your way to Mae Sariang, you can stop by the caves in Soppong. Stay in Soppong for the night, and then head to Mae Hong Son (there are also buses to Mae Hong Son from Soppong). Other places worth visiting in north Thailand: Sukhotai, and definitely Mae Sot and Umphang. Mae Sot and Umphang are famous for hill tribe village visits and trekking on gorgeous countryside. On your way to the north, you can stop by Ayutthaya, or even Kanchanaburi. Don't know where to travel in Asia? How to set up an itinerary? 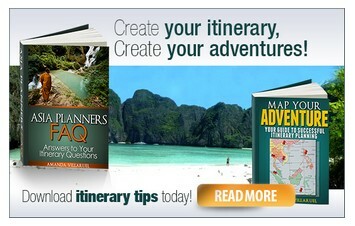 You won't have a problem creating an itinerary after you've read this ebook. Learn how to create a good itinerary for Asia. 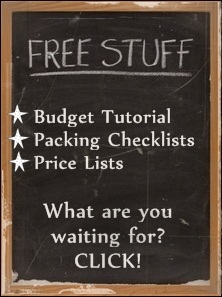 Don't miss out on Backpacking Chronicle Newsletter and more travel tips!!! About Vietnam NEW! Hoi An NEW! *FREE* Newsletter & eBook *Photo Contest* Festivals and Events Follow the Backpacker Backpacker Shop NEW!